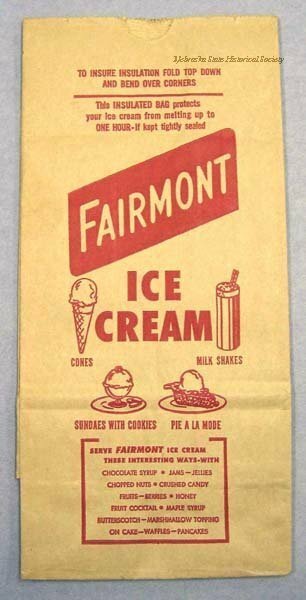 The Fairmont Creamery Company was incorporated March 29, 1884, as a stock company by Wallace Wheeler and Joseph H. Rushton. This building was the original office and the creamery was half a mile east of town. From a small, part-time business, the company became one of the nation's largest food processors, later known as Fairmont Foods. The creamery's first product was butter. By 1891 the 100 employees made 7,000 pounds of butter daily. In the 1890s the company operated plants in Crete, Tobias, Friend, DeWitt, Fairbury, Geneva, Milford, and Hebron. Corporate offices were moved to Omaha in 1907. In the twentieth century the company diversified, processing dairy products, eggs, poultry, vegetables, and snack foods. By 1959 Fairmont Foods was among the country's 500 largest corporations. The company moved its headquarters to Houston in 1974 and in 1980, it became a wholly-owned subsidiary of American Financial Corporation. From 1907 - 68 the original creamery building was a medical office for Doctors Sherman F. Ashby, who came to Nebraska in 1885, Albert A. Ashby, and Charles F. Ashby. It is listed in the National Register of Historic Places. 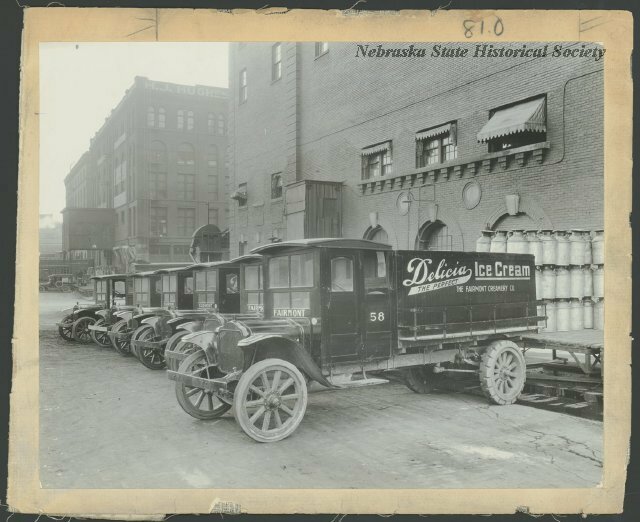 “Fairmont Creamery Company,” Explore Nebraska History, accessed April 19, 2019, https://mynehistory.com/items/show/211.